Product #1287 | SKU 5001B | 0.0 (no ratings yet) Thanks for your rating! 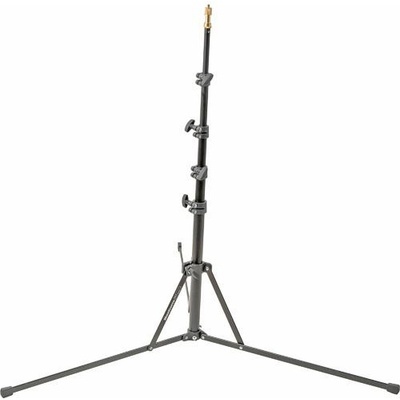 This Manfrotto 5001B Nano Retractable Compact Light Stand is perfect for supporting small light fixtures on location. The stand folds down to 0.48 m, which makes it easy to fit into a location case. Since it has five sections, support strength is maintained as the fixture is raised; most of the column remains inside the main shaft. It has a black anodised finish.